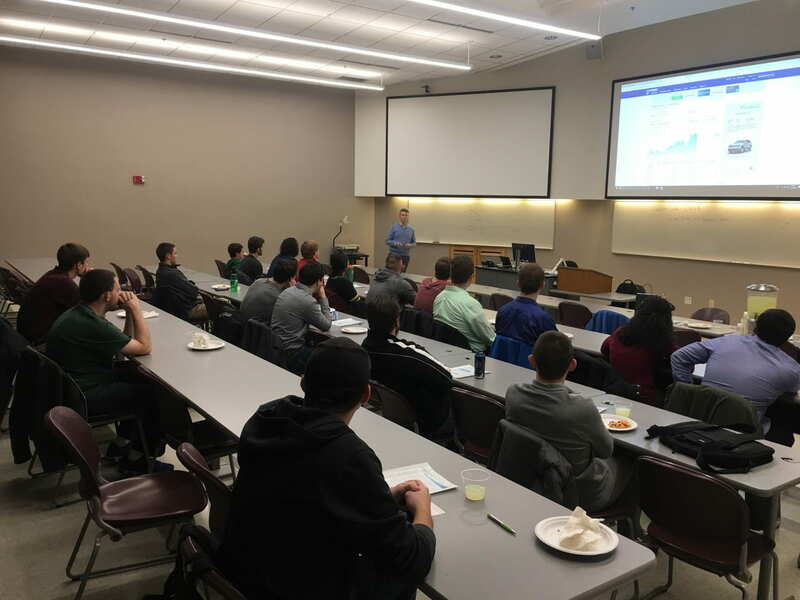 Collegiate Entrepreneurs’ Organization (CEO), Student Finance Association (SFA), and Student Association for Management (SAM) were among several UWGB student organizations that shared pizza over a talk by Mark Scheffler, CEO of investment advisory firm The Appleton Group and founder of fintech (financial technology) startup clearTREND. clearTREND identifies turning points for the securities in your portfolio as they occur and prescribes simple, common-sense adjustments you can make to minimize risk or take advantage of new opportunities. At the end of his talk, Scheffler presented those in attendance with a free full-featured trial for 6 months. Photographs by CEO vice president Johnny Gomez. 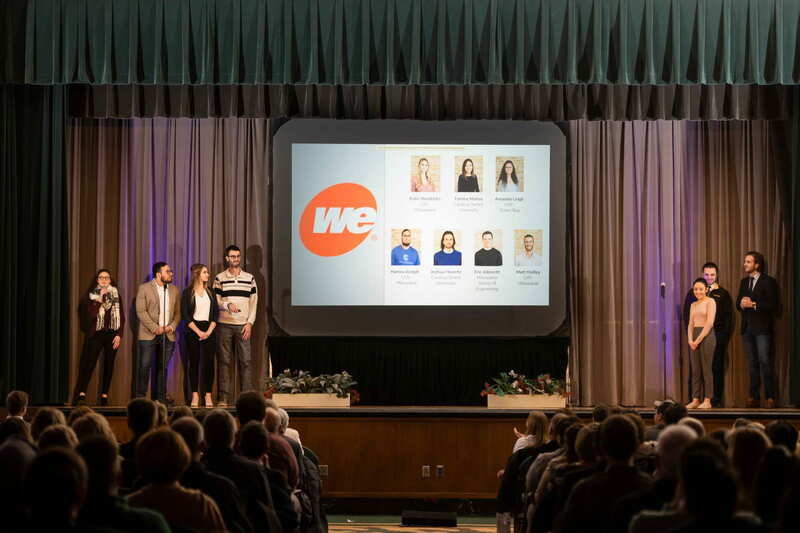 Four UWGB students helped pitch their teams’ ideas at Demo Day in Milwaukee as part of The Commons fall 2018 cohort. 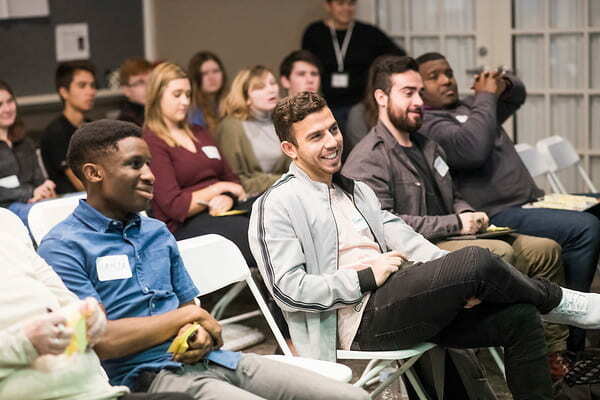 Students applied to the program then spent a weekend plus nine Tuesday nights in Milwaukee working on either a real corporate innovation challenge or on a startup in order to accelerate their entrepreneurial skills. Students are placed on teams via their project preferences but are matched with other Eastern Wisconsin college students. 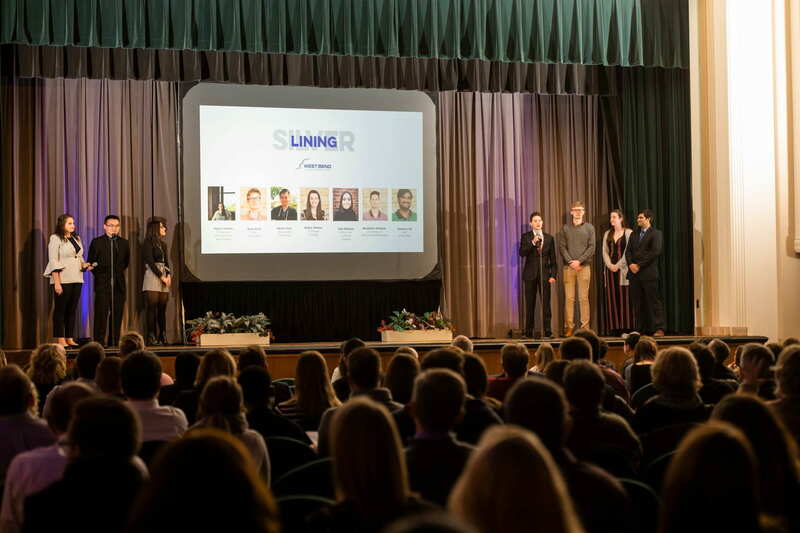 Senior Laura Van Remortel (Business Administration, Music minor) worked on a team for startup Green Earth Terrarium (http://getterrarium.com). Milwaukee county social entrepreneur Cole Compton founded the company when he was 14. Now a college student, Compton designates 15% of proceeds from the high quality, lower cost terrariums to non-profit organizations that are dedicated to community, collaboration, and positive change. 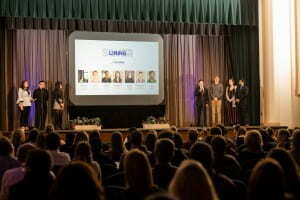 The team focused on better identifying Green Earth Terrarium’s ideal customers. 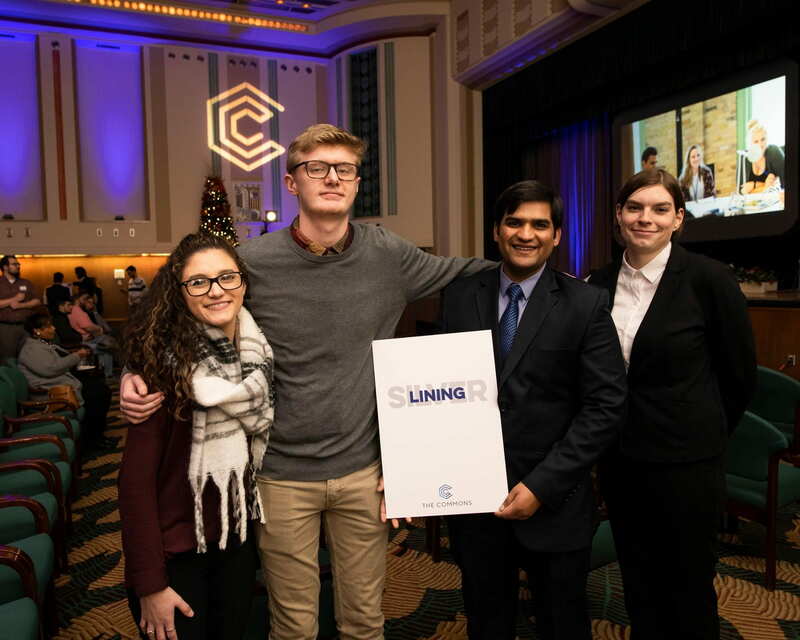 Senior Zeeshan Ali (Accounting) and freshman Ryan Kroll (Business Administration) worked on corporate innovation project “Silver Lining” for West Bend Insurance. 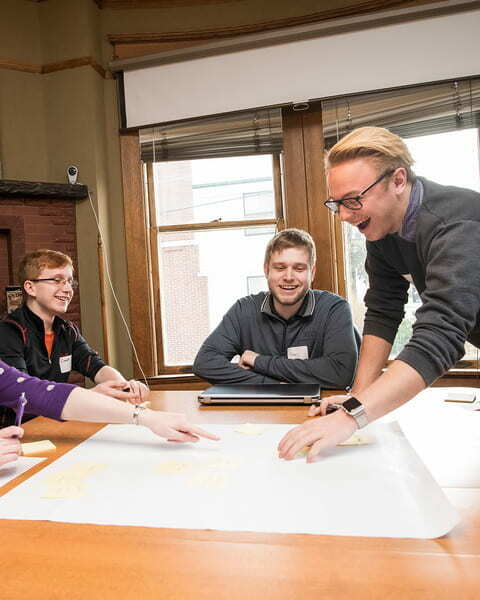 The team created a an app to help potential West Bend insurance customers understand different types of coverages, connecting them to a West Bend Insurance agent for help if needed. 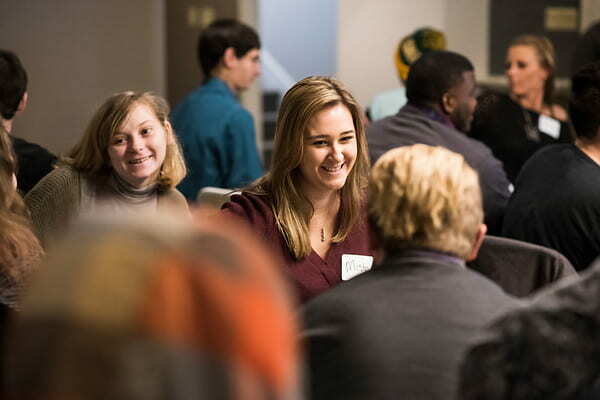 Freshman Amanda Leigh (Accounting, Business Administration minor) worked on corporate innovation project “We Power the Future” for WEC Energy Group to help them identify how to communicate with job seekers the variety of career tracks available at We Energies. 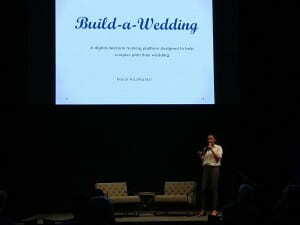 Amanda lead off her team’s pitch at Demo Day. 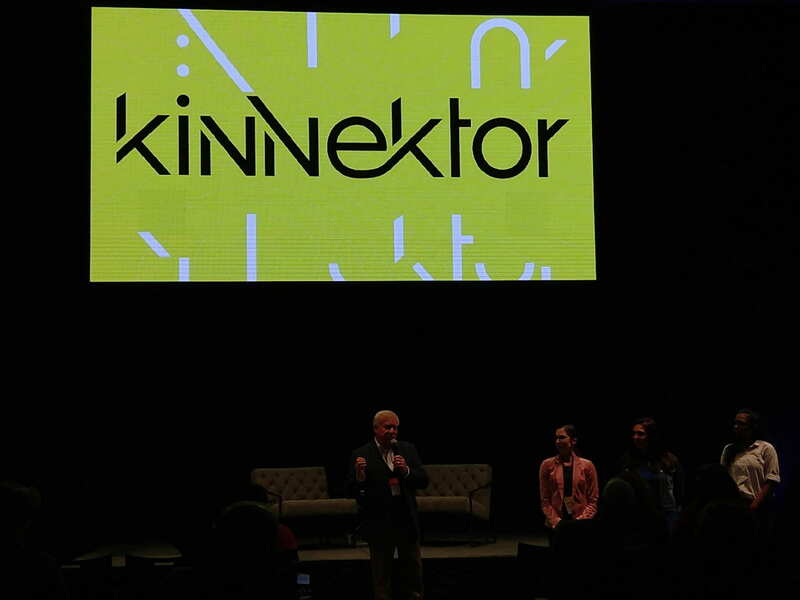 Other projects presented at Demo Day for The Common fall 2018 cohort included corporate innovation challenges from Kohl’s, MMSD (Metro Milwaukee Sewer District), and Sartori (focusing on Sheboygan County’s workforce development) as well as startups solving the problems of dangerous open air coal-fueled cooking in Uganda, goal-setting with accountability and community, keeping up your proficiency in American Sign Language, and video-based (as opposed to text-based) work productivity (think: a better Slack). 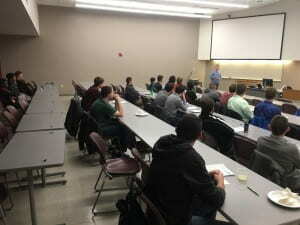 Past UWGB students who participated in The Commons programs have included majors in Computer Science, Psychology, and Engineering. However, The Commons does not ask students for their major or minor courses of study nor GPA in the application process. 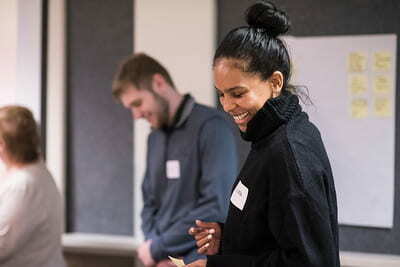 UWGB students on all campuses can apply to the spring 2019 cohort of The Commons at www.thecommonswi.com/accelerator. Students who are accepted to the program and want to earn credit for the program should contact me (KauthR@uwgb.edu) for more details. 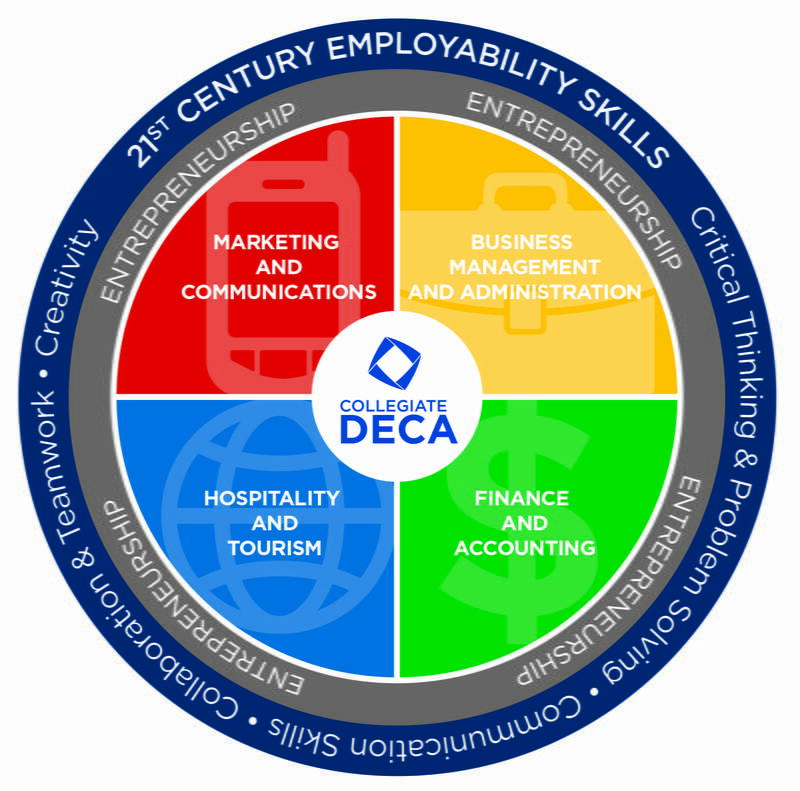 Companies who would like to join other companies leading innovation in Northeast Wisconsin – such as Acuity, Ansay, Aurora Health Care, Direct Supply, Feeding America, Godfrey & Kahn, Graef, Kohler, Kohl’s, Northwestern Mutual, Sargento, Sartori, and WEC Energy Group – by partnering with The Commons to sponsor a team of college students to work on one of their corporate innovation challenges can contact me or contact Joe@TheCommonsWI.com to schedule an appointment with The Commons and the company’s leadership team. Photos courtesy of The Commons by Robert Colletta Photography. Seven UWGB students recently spent a Saturday solving real corporate innovation challenges in a competitive problem solving environment at Jake’s Café in Sheboygan for Sartori, a family owned company in Plymouth dedicated to making the world’s finest artisan cheese made from premium milk supplied by local Wisconsin farmers. 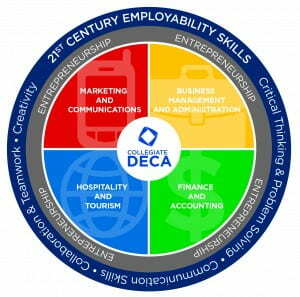 While several students applied to the program, these students were invited to participate. 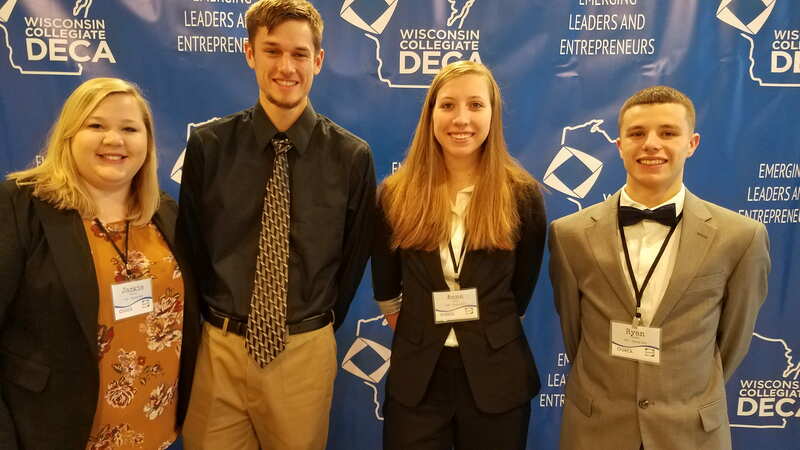 The students were placed on competitive problem solving teams with college students from other Eastern Wisconsin universities. Students formed one team to ideate then present their solutions to one corporate innovation challenge provided by Sartori, then formed a second team to solve another of Sartori’s corporate innovation challenges. Students were mentored along the way in The Commons’ innovation process by representatives from Sartori. 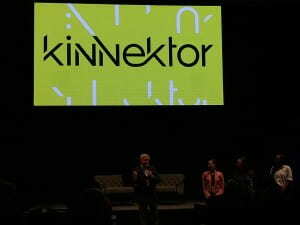 Top three teams were selected from each corporate innovation challenge then a top three overall were selected. One UWGB student, Misty Wolff (Accounting), was on two top three teams plus the team that placed first overall. 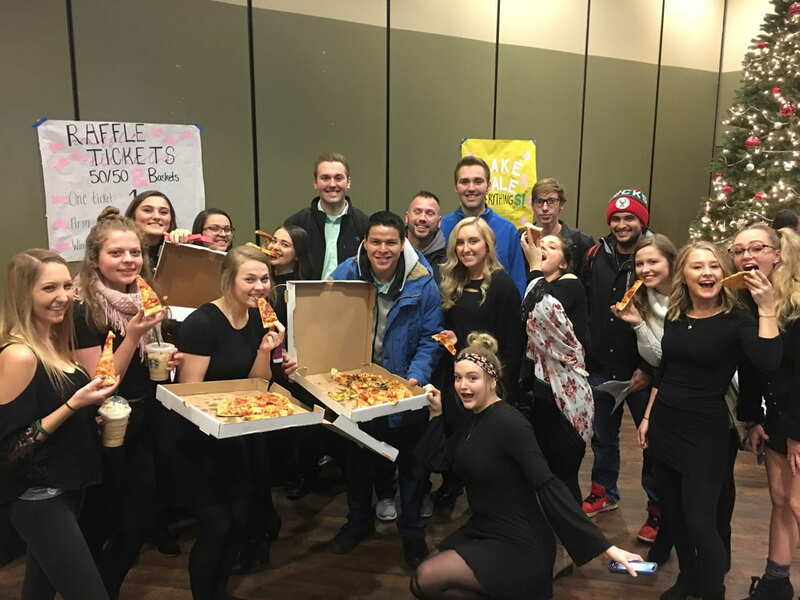 The UWGB students who participated were Carol Brehmer (Business Administration), Victoria Henderson (Business Administration), James Pockrandt (Computer Science), Jilliana Quinones (Business Administration), Hamza Umar (Business Administration), Misty Wolff (Accounting), and Tomer Zloczower (Computer Science). Photographs courtesy of The Commons by Robert Colletta Photography. UWGB student entrepreneurs were recently featured at 1 Million Cups events in Green Bay and Appleton. 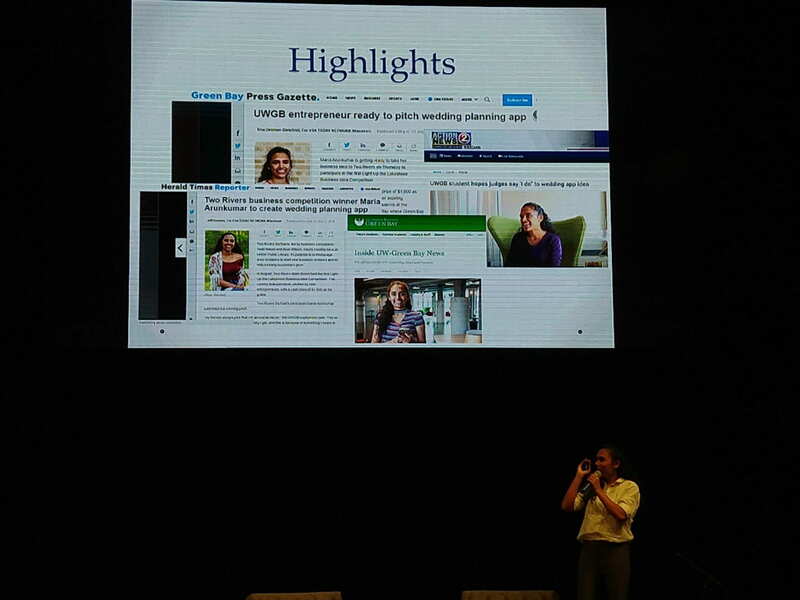 In October, Maria Arunkumar (Business Administration) was chosen to represent the 1 Million Cups Green Bay community (www.1MillionCups.com/GreenBay) at annual Northeast Wisconsin startup conference kinnektorCon as part of the 1 Million Cups Appleton community gathering on October 24 (pictured far right in all 5 pictures). Arunkumar presented her Build-a-Wedding app idea. 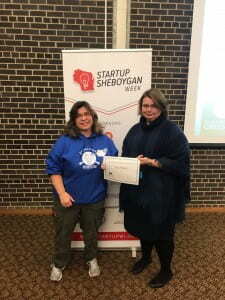 At the 1 Million Cups Green Bay gathering in November, Renee DeGrand (Business Administration) was chosen to talk about her business, a focused ecommerce platform for hobbyists called Fervid Life, which is in the idea/concept phase. 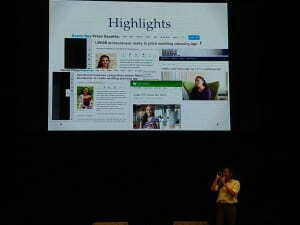 She is pictured on the right at 1 Million Cups Green Bay in a “Fireside Chat” format. 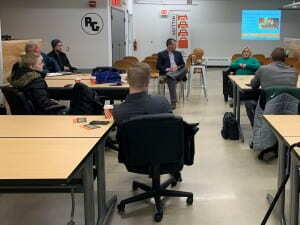 The 1 Million Cups Green Bay community meets the second Wednesday of every month at 9am in the Rise & Grind coworking space, next to Cura Coffeehouse on the 3rd floor of the Brown County Central Library in downtown Green Bay. Photo by Groleau. Students in the Entrepreneurial Finance class, open to all UWGB students, are encouraged to attend the 1 Million Cups Green Bay community gathering every month that occurs during class. 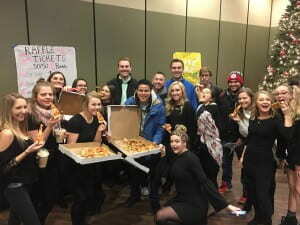 Three other students from the class are pictured in the photo with DeGrand. On Monday, November 5, UW-Green Bay’s first Absurd Innovation Challenge kicked off Startup Wisconsin Week in Green Bay (story here: http://news.uwgb.edu/log-news/news/11/07/students-take-absurd-challenge-part-of-startup-week-wisconsin/?utm_source=UW-Green+Bay+News+Subscribers&utm_campaign=2f3c7cd812-Log_Extra_COPY_01&utm_medium=email&utm_term=0_cf818b8d5b-2f3c7cd812-407243745), and On Thursday, November 8, UW-Green Bay kicked off Startup Wisconsin Week in Sheboygan at their Sheboygan Campus with the first Business Idea Workshop, the first UW-Green Bay|Sheboygan Campus Student Business Idea Contest, and Sheboygan’s first Business Idea Contest for the community. 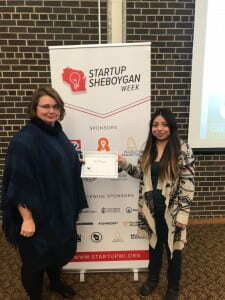 The winner of $500 and first place in the UW-Green Bay|Sheboygan Campus Student Business Idea Contest was Dorothy McElroy. Dorothy’s idea is focused on providing education about death and grieving in different grades in school as different ages of children grieve in different ways. 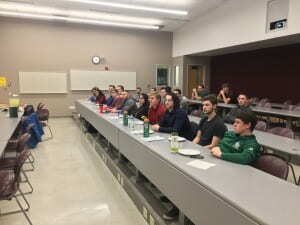 McElroy is a grief support specialist, has been involved with UW-Green Bay’s Camp Lloyd (https://www.uwgb.edu/camp-lloyd/), and is a level 2 USA archery instructor. She is also the founder of The Dancing Arrow Club, a grief therapy through archery program. McElroy will be receiving her associates degree from UW-Green Bay with an emphasis on grief therapy for children. McElroy and her son Wyatt recently gave a Tedx Talk here https://portal.stretchinternet.com/lakeland/portal.htm?eventId=474156&streamType=video – scroll ahead to 2:57:30) and are the founders of World Dragon Shooting Day. 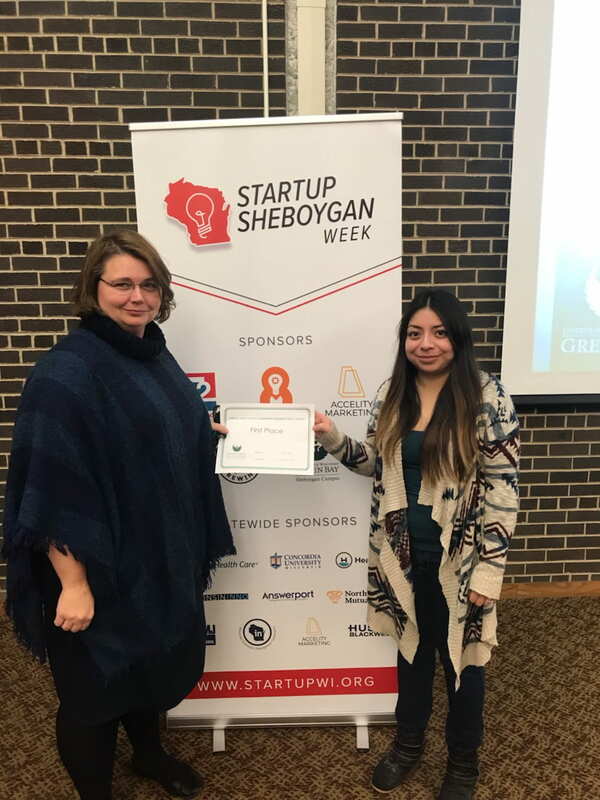 McElroy (left) and UW-Green Bay Sheboygan Campus Executive Officer Jennifer Williamson-Mendez (right) are pictured below. The winner of $100 and first place in the Community Business Idea Contest was Luisa Morales. Morales is a mental health and career counselor at UW-Green Bay|Sheboygan Campus. Her idea is a café that focuses on mental health without that “therapy” feeling. Morales (right) and Williamson-Mendez (left) are pictured below. The Cofrin School of Business at UW-Green Bay and WiSys are sponsors of both events, and UW-Green Bay | Sheboygan Campus is a sponsor of Startup Sheboygan Week. Startup Wisconsin Week events in several communities in Wisconsin run through November 11 and can be found here: www.startupweekwi.org.